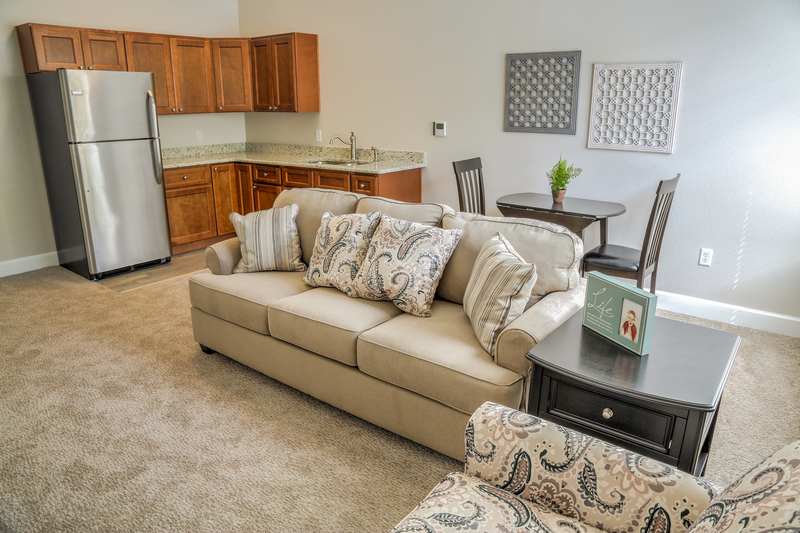 The Manor Campus at Lake Morton | WMB-ROI, Inc. 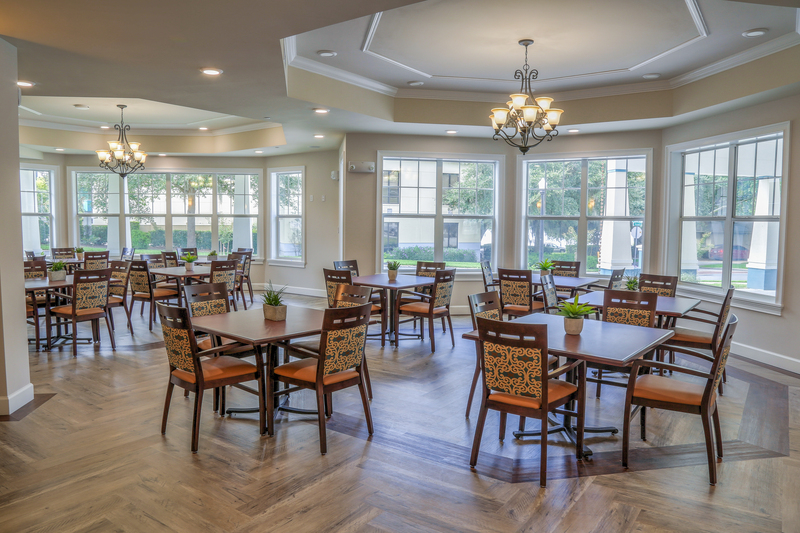 The Manor is a three-phased senior living community integrating apartment-style assisted living and memory care specific housing on the same site in order to facilitate the varying degrees of care needed throughout the aging process. 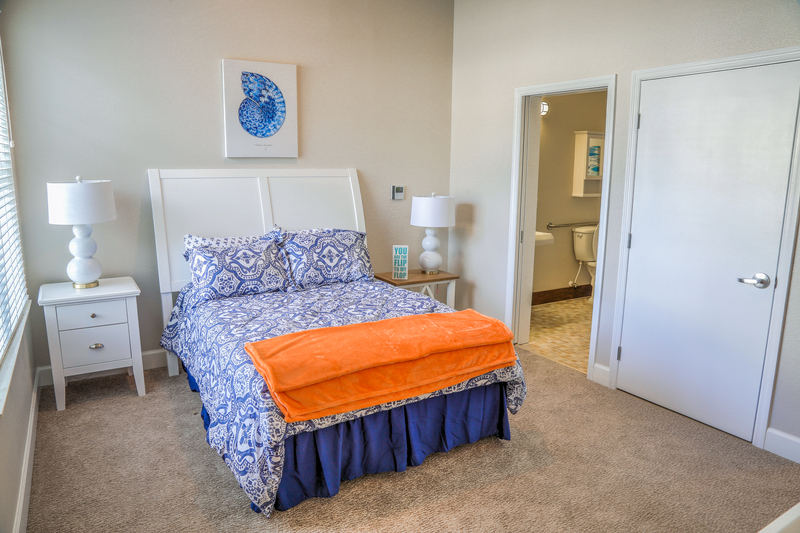 Designed around the aesthetics of Lakeland’s Garden District, the bungalow-style living quarters utilize hardie panels and muted pastel tones to create a space that feels like home. 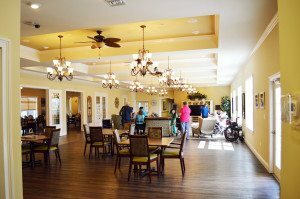 The first phase of The Manor was the renovation of an existing memory care unit. The 16,000 sq. 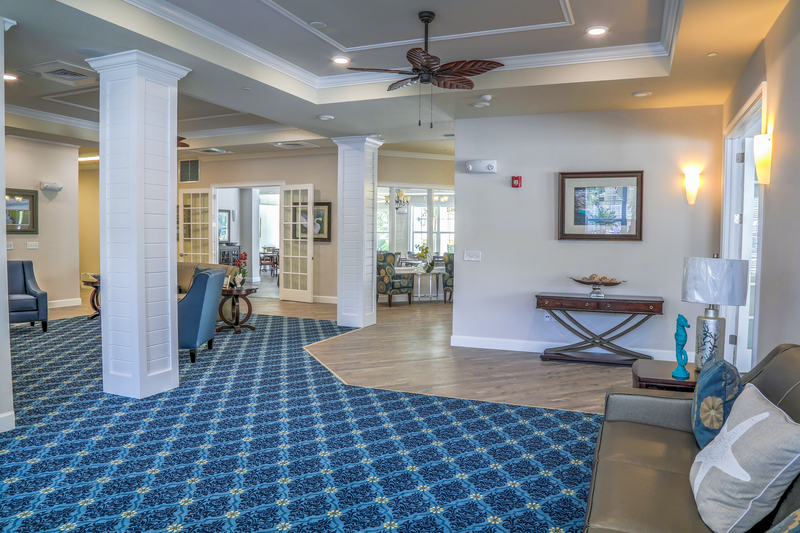 ft. assisted living facility was redesigned to accommodate Alzheimer’s and other dementia-related patients, using non-slip wood floors, wide corridors, and a simple floor plan to create a serene environment. The second phase provided a charming 3,000 sq. 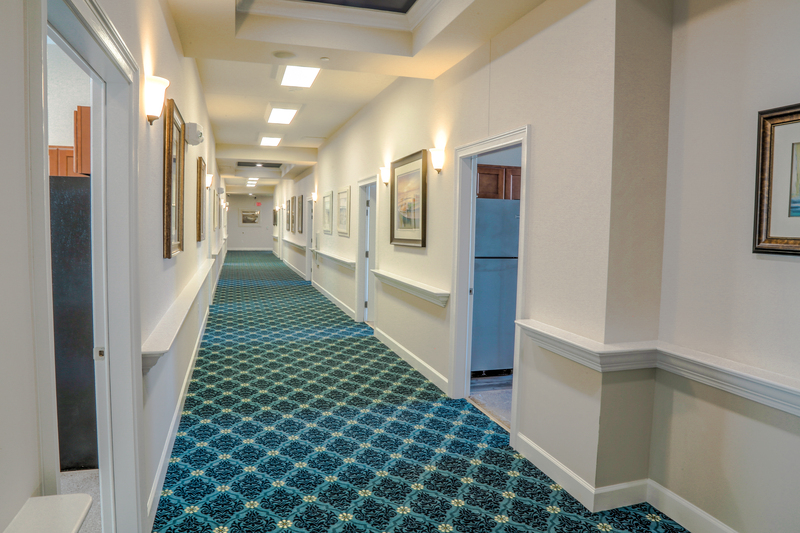 ft., 6-bedroom Senior Cottage to work in tandem with the existing memory care facility. 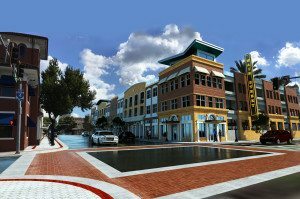 WMB-ROI took special care to fit any new structures into the scale, rhythm, and style of the existing historic neighborhood composed of bungalow-style architecture, assuring all designs complied with the standards of the Historic Preservation Board and the City of Lakeland. The third phase involved the construction of a new 23,000 sq. 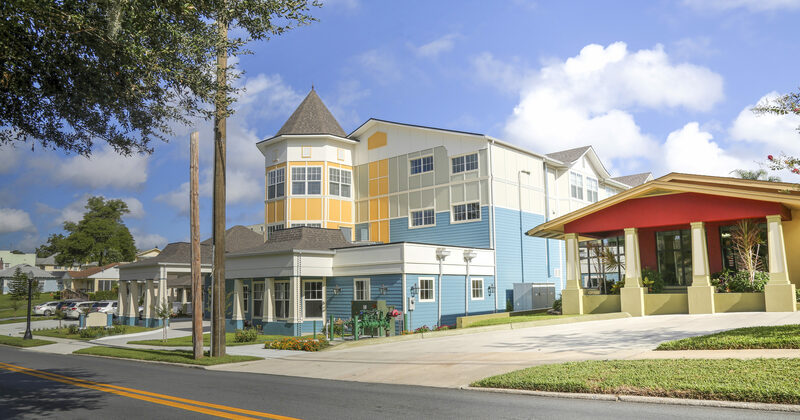 ft., 3-story assisted living facility. 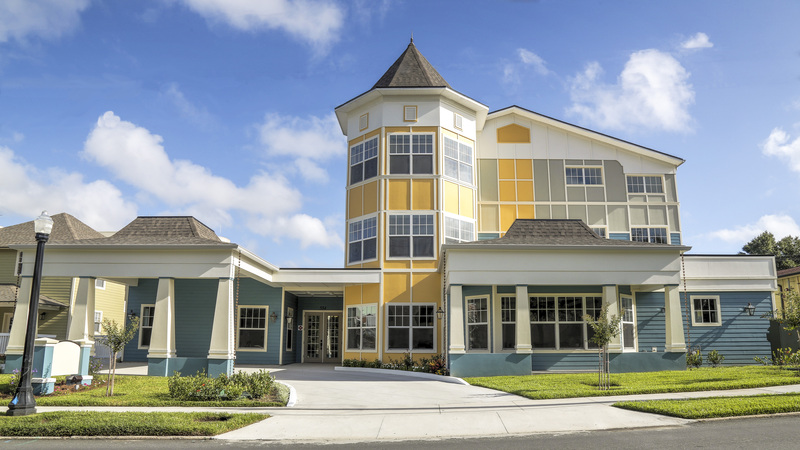 The new building, sporting a stylish Victorian turret and thick, square columns, provides the space for 40 apartment-style units for self-sufficient seniors. The design of this expansion incorporates large common spaces and views of Lake Morton for the residents to enjoy.